IS THE RUSSIAN ART MARKET SINKING FOR LACK OF CASH? 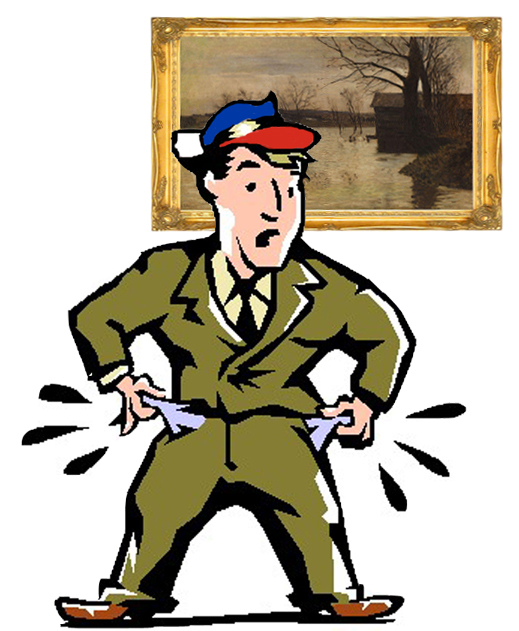 If the London art market is a test of reality, then last week’s Russian Week sales demonstrate that Russian buyers are poorer, and there is now less Russian money for buying Russian paintings, jewellery, porcelain and other art objects than at any time since Russian Week started in London in 2005. 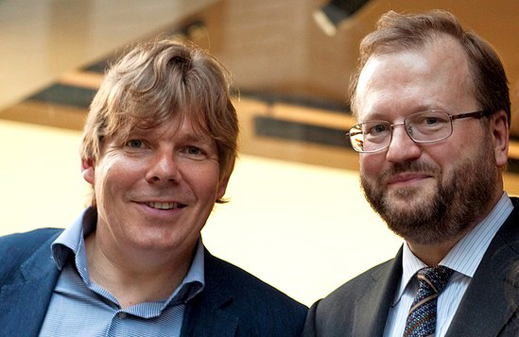 MacDougall reports that last week his auction fetched £2.2 million, counting both pictures and objects. The leader was Isaak Levitan’s painting, “High Water” (lead image, painted in 1885), which sold for £325,500. The seller was an Israeli, who unloaded two Levitan works whose father had acquired them in the 1920s; the second sold for £157,800. Together with the takings from the sale of Soviet art in October, MacDougall’s has achieved a total of £6 million over the past six months. Including both paintings and art objects Sotheby’s led the Russian art sale market with takings reported last week of £9.2 million. That includes paintings which fetched £6.8 million; and jewellery, icons and other objects totalling £2.3 million. 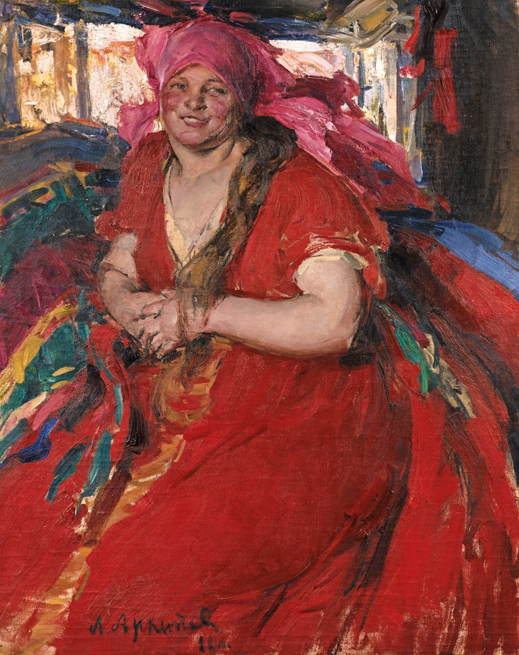 The top lot was this effort (below) in the jolly peasant genre by Abram Arkhipov, “Peasant Woman in a Red Dress”, dated 1922, and sold for £905,000. Sotheby’s says it was selling from the collection of a Swiss living in Basel, who picked it up at auction in 1979. Sotheby’s thought the work was worth £250,000 at most, adding that Arkhipov, from a Ryazan peasant family himself, had abandoned the miserable washerwomen he had painted before the 1917 revolution, and had begun to idealize the peasantry in “a world apart”. Christie’s managed total sales of its Russian works on offer of £5.3 million, with a relatively weak demand for paintings, and a stronger one for objects. The house has issued no press release, and is proposing no new auction date for Russian art. Bonhams turned out to be the weakest of the London auction houses, with takings of just £522,750. Yekaterina Kartseva, co-owner and founder of Privatecollections.ru, says this month’s London results aren’t bad.